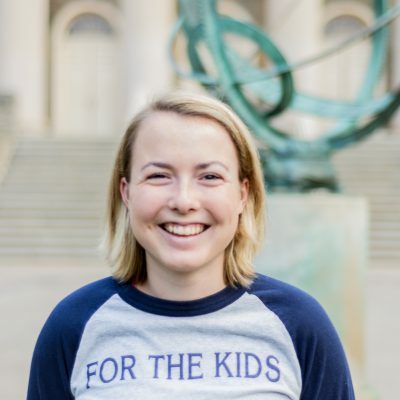 I wanted to be the Executive Director because I felt that I could push this organization forward through my leadership and vision for THON 2019. By keeping THON's mission in the forefront of my mind I hope to give my all for those affected by childhood cancer. I knew that I could bring this organization to new heights, and I felt confident that I would be able to represent the THON community positively. I look forward to creating a stronger and larger THON community with more tangible opportunities, and to inspire the next generation of philanthropists. What are your main duties as the Executive Director for THON 2019? As Executive Director, I am a resource to the Executive Committee in order to help them accomplish their goals. I help to ensure that our entire volunteer-base is working and communicating effectively together on respective tasks and projects. I facilitate specific projects that will benefit the entire THON community, and I look at the organization from a wider view to ensure that all angles are being considered. In addition, I build and maintain relationships with THON's donors while also exploring new opportunities. My favorite THON memory is the 2017 Donor and Alumni Reception. I was surrounded by dedicated supporters whose involvement originated in very different ways. It further proved to me that I am so inspired by the community that THON creates and brings together. We all come from different backgrounds, but we are united under one goal; to eradicate childhood cancer.